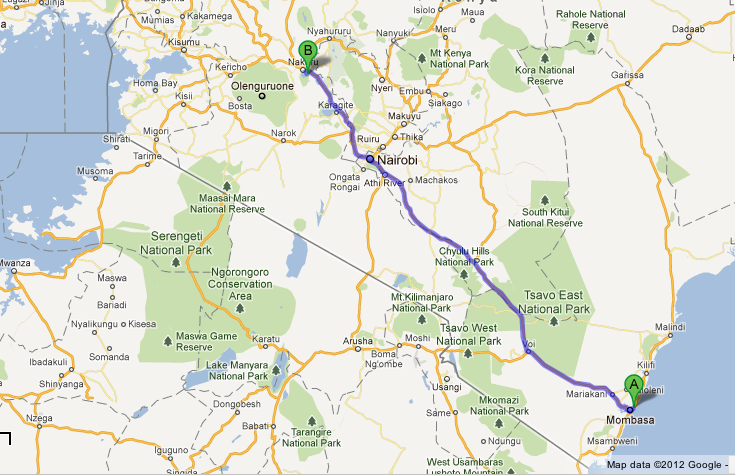 Our final day in the car began in Nakuru. I woke up to a misty view of Lake Nakuru. 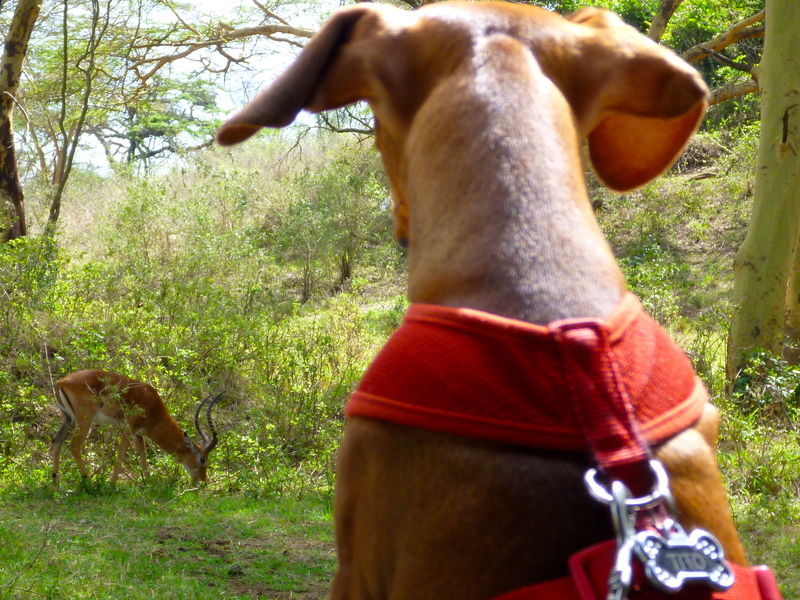 On the way out of the National Park, we got to go on a mini-game drive where I saw a neat animal that wasn’t quite a cow, or a goat either; mom said she thought it was some kind of antelope. Another new animal to check off my list! 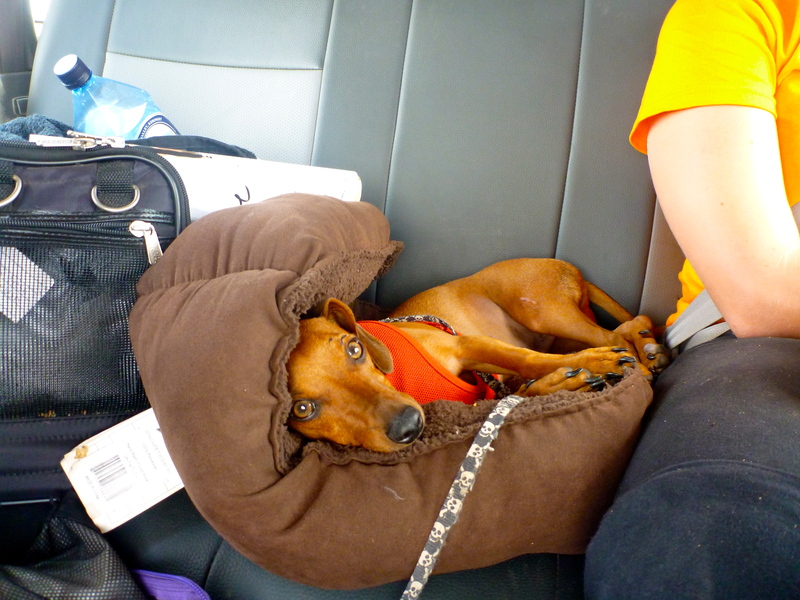 When we got to the exit gate, mom wrapped me up and started acting all weird again. I was excited because there were these tiny, hairy, human looking things that mom called baboons, but she told me I had to stay quiet and not move 😦 Apparently, I had to hide to get OUT of the National Park too. Once we were out, I rested. A few hours into the drive, mom woke me up to see the scenery. 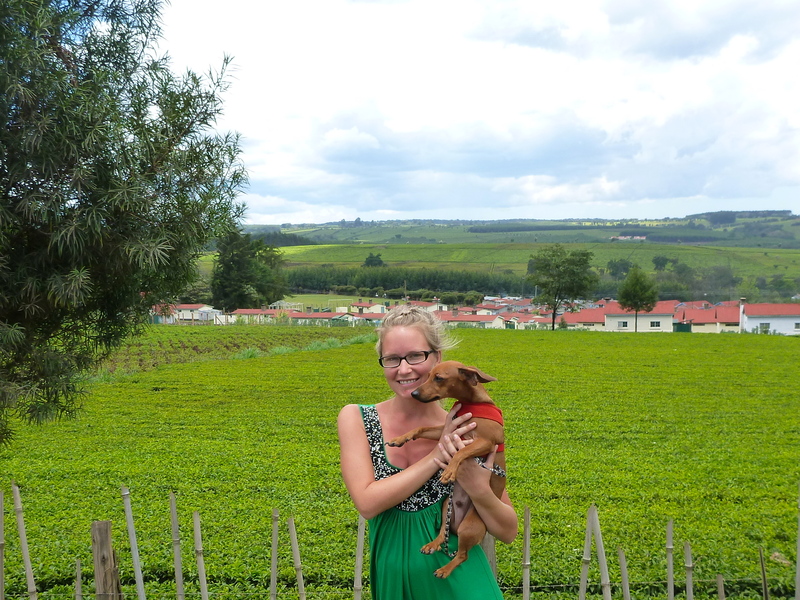 There were fields and fields and fields of green that mom said were tea fields. It was so pretty! 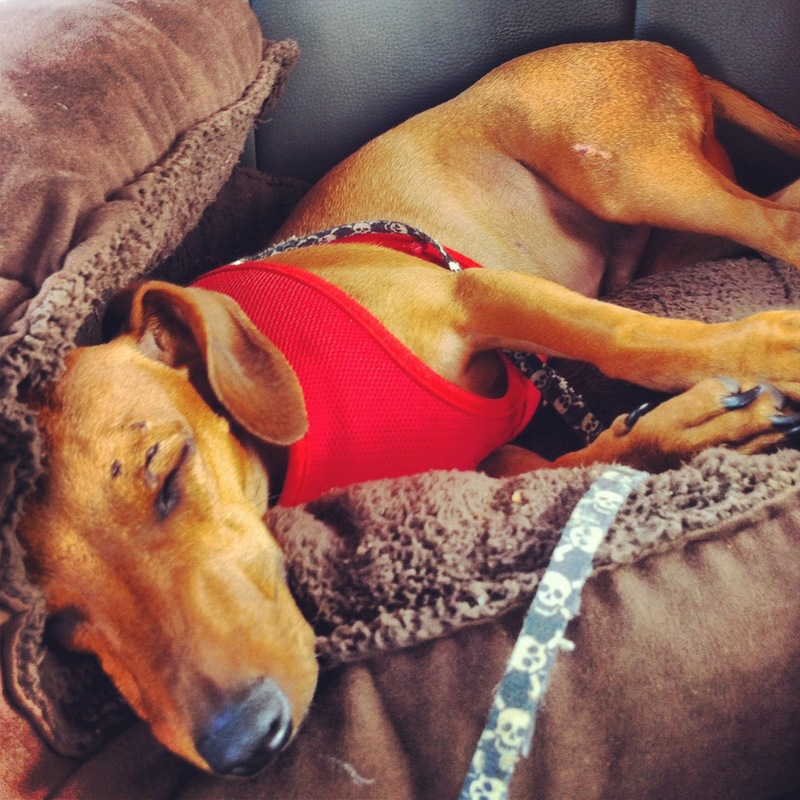 After the tea fields, the scenery was the same old, same old again, so I found another comfy spot in the car. Finally, we passed through the border at a familiar place, the Isebania/Sirari border. 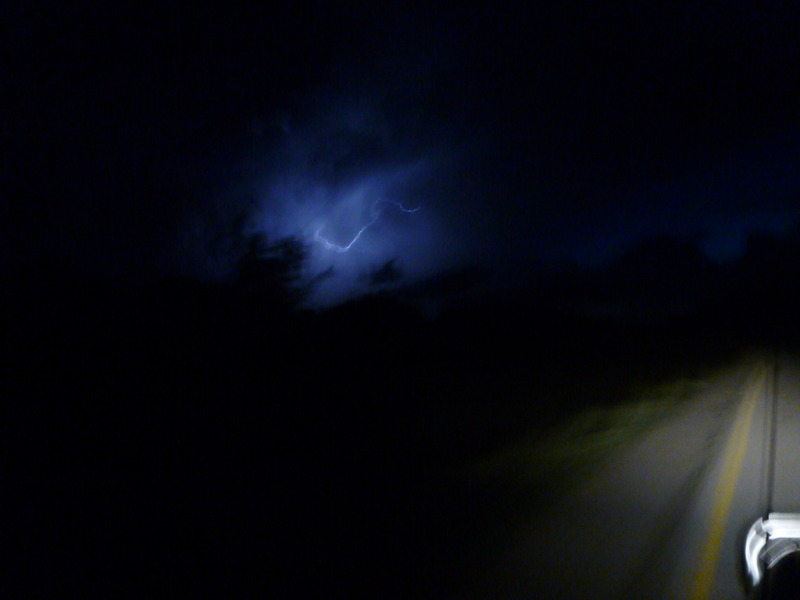 As we were on the final stretch towards Mwanza, we were entertained by a fascinating lightning storm. 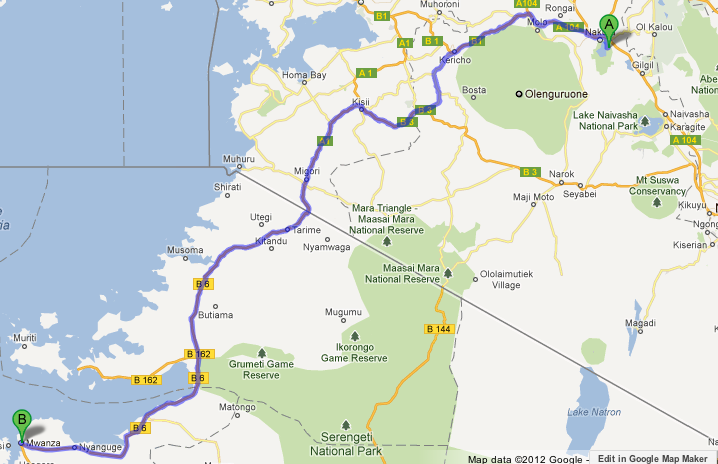 Welcome back to Mwanza! The third leg of our trip wasn’t nearly as exciting as the preceding four days, but we did get to stay in a neat place called Nakuru. The drive was like all the others and by this time I was pretty bored with looking at cows from the window so I decided to rest for much of the drive. 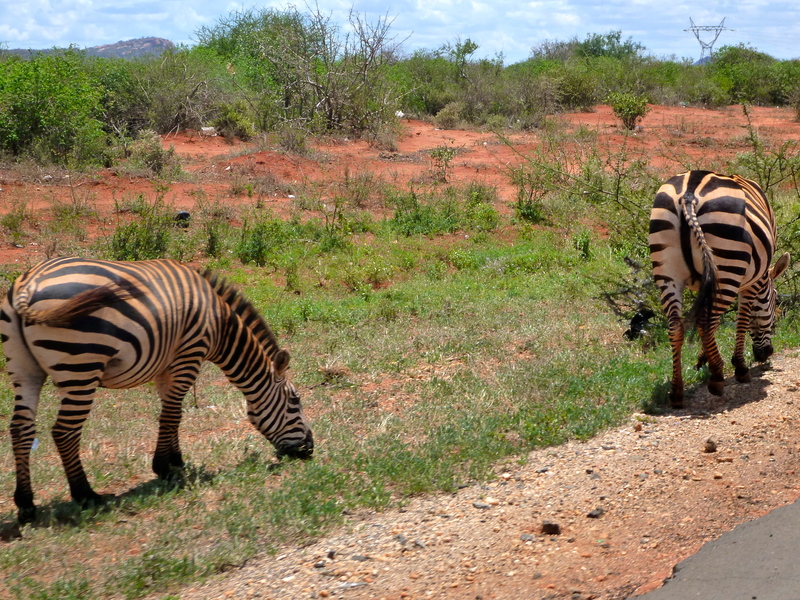 I did manage to wake up for a few exciting things along the way, like big, fat zebras along the side of the highway. 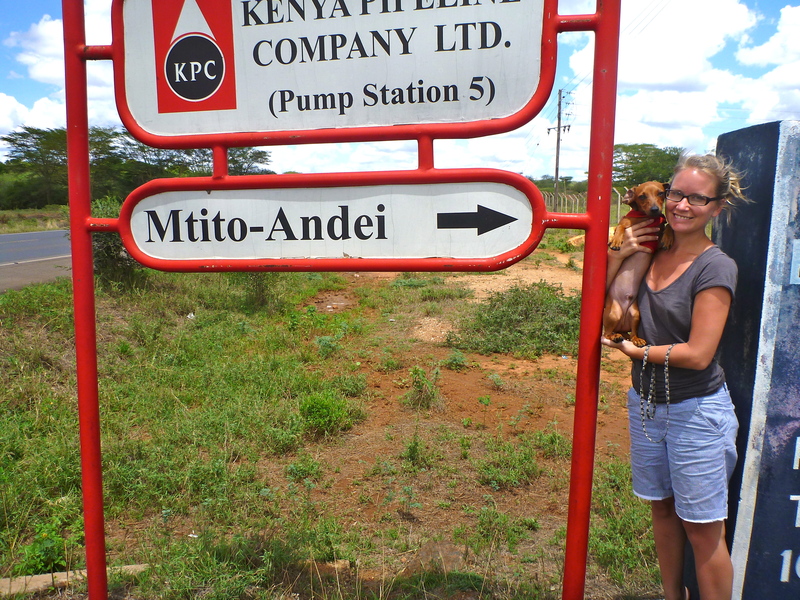 We also drove through a town named after me, perhaps they’ve been following my blog 🙂 The town was called Mtito Andei and mom made sure to get a photo of me with my sign. It's my town: Mtito Andei! We finally got to the town of Nakuru around 9pm, but then we had to enter a National Park called Lake Nakuru National Park. 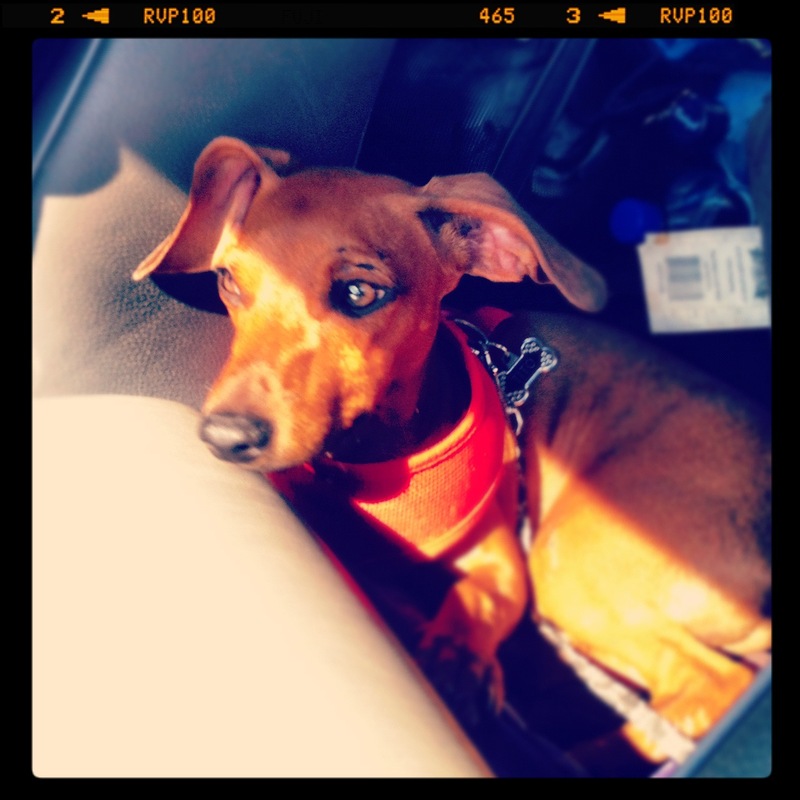 Apparently, National Parks don’t allow dogs, which is confusing for me since there are wild animals everywhere. Since we were so late, the National Park was already closed, but our hotel was inside, so this was a problem, or a matatizo, as we say in Swahili. It took Mr. Marcel a lot of bargaining with the guard to even let the humans enter the park so late. Mom had me all wrapped up in one of her scarves and so the guard asked about mom’s “rafiki ndogo“; he thought I was a human baby, I’d never been so flattered! So eventually, the Park allowed us to enter and we drove around Lake Nakuru to the Sarova Lion Hill Lodge where we slept for the night.